Last night (Sat. 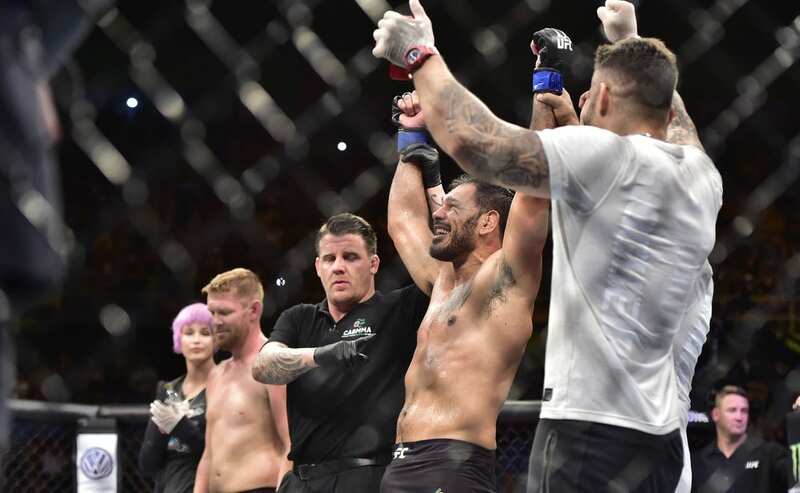 September 22, 2018) light heavyweights Sam Alvey and Antonio Rogerio Nogueira went one-on-one at UFC Sao Paulo. Alvey entered the contest off back-to-back victories at 205 pounds. “Smile’n Sam” jumped up from middleweight and knocked out Marcin Prachnio in his divisional debut in February. He jumped back into action four months later and defeated Gian Villante via split decision at UFC Fight Night 131. A win over a Brazilian legend in Nogueira would do wonders for the 32-year-old’s career. Nogueira is a decade Alvey’s elder and an absolute legend of the sport of mixed martial arts (MMA). The Brazilian has been fighting since 2001 and debuted with the UFC in 2009. Nogueira had lost three of his last four fights since 2014. He was flagged by the United States Anti-Doping Agency (USADA) back in December. The Brazilian was later cleared of the incident as it was deemed he took a tainted supplement. 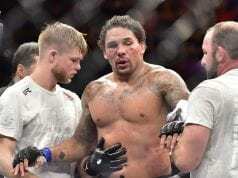 Now with his USADA troubles and injuries behind him, Nogueira was allowed to focus solely on Alvey. In the opening round, Alvey seemed to get a nice rhythm going, landing shots and moving well. Nogueira was able to pick up the pace as the round came to a close. Once the second round got underway, however, Nogueira went off. The Brazilian landed a big left hand that rocked Alvey. Nogueira continued his assault until he was finally able to stop Alvey with a barrage of strikes that sent him to the canvas.